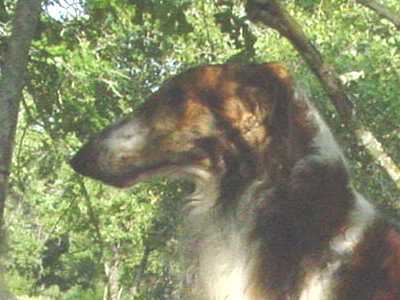 Animal Planet is currently (Oct 2005) airing the Eukanuba Championships featuring Ch. 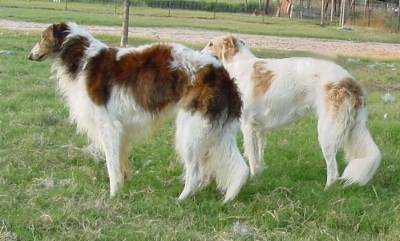 Shefaro Amadeo's Rodrigo (left) in the hound group as the Best of Breed Borzoi. 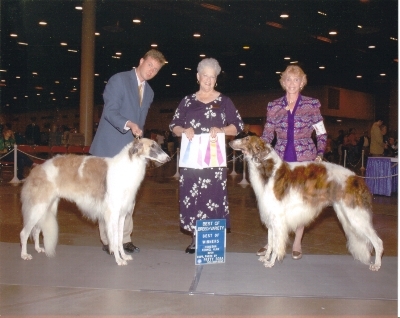 Pictured are Rodrigo winning Best of Breed (left) and Cesario winning Best of Winners. Houston, Texas.